Some good news ICON back on board again. 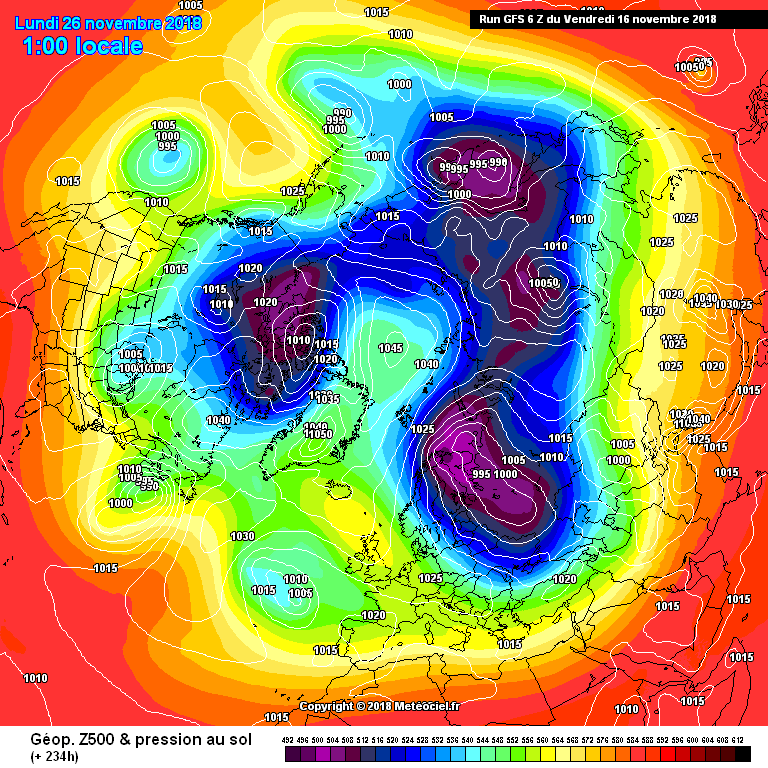 High cut of round the back also that trough is further south less chance of blown up over uk and sinking the high. They all seem to be in fairly good agreement with Easterly No. 1 next week. (I say No. 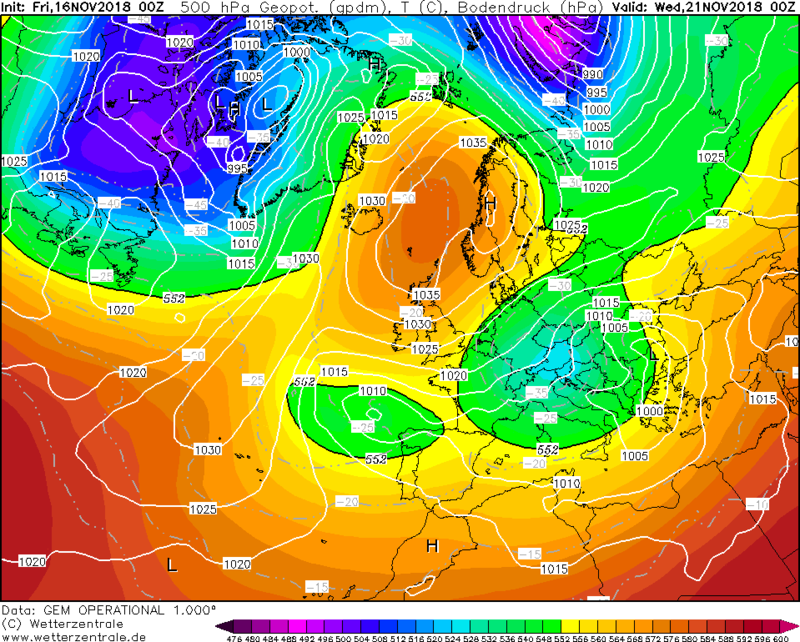 1 as further Easterly outbreaks are very possible when you get blocking to the North). For the UKMO, had to use the Meteociel chart for its 850 hPa temperatures due to these being unavailable to Wetterzentrale. 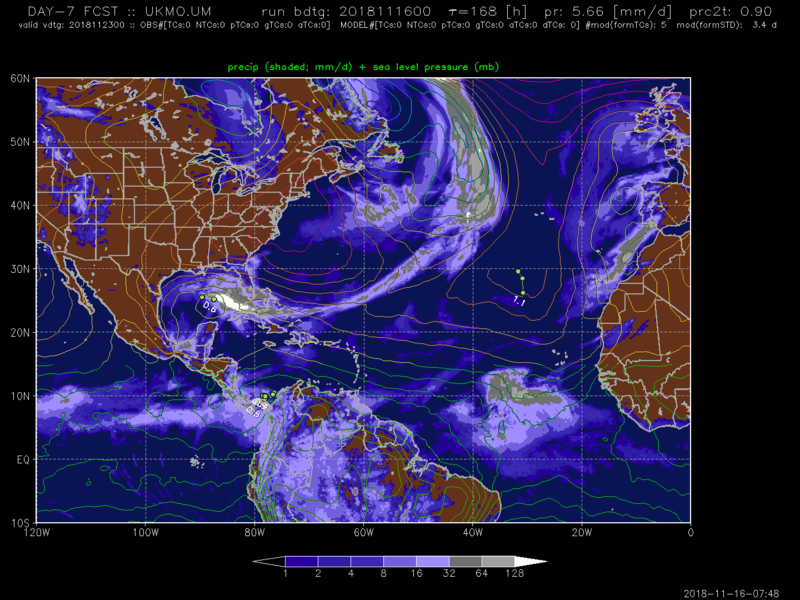 While they do essentially show blocking High Pressure developing to the North and Atlantic Low Pressure sliding underneath it to our South or South-East into mainland Europe, there are some differences. The GEM has the Northern UK High a little further South compared to others with higher heights affecting more areas of the U.K. The cold pool to our East over mainland Europe just about scrapes the South-Eastern area of the U.K. with an area of positive 850 hPa temperatures affecting Northern England, Northwards. 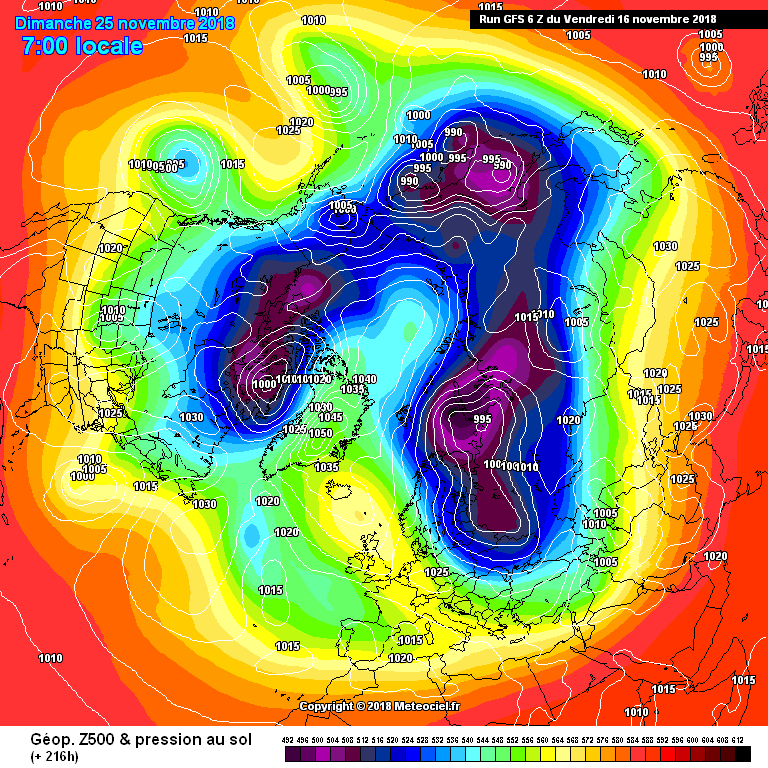 GEM is known apparently for either under-estimating or over-estimating the cold or warmth of the 850 hPa temperatures. Whether this really is true or not. Though I still feel the reason for it having a more widespread area of milder upper temperatures is due to that blocking High not being quite as far North. The other models runs have either Easterly or North-Easterly flows with areas of -5*C, and slightly lower, 850 hPa temperatures affecting more areas of the UK via the cold pool to the East with none of the 1*C or milder 850 hPa temperatures affecting any areas of the U.K. Those milder 850 hPa temperatures are locked away to the North of the U.K. within the High Pressure centre’s circulation. The 500mb heights are somewhat lower with greens and turquoise colours generally affecting Northern England, Southwards. This particularly so on the 00Z ICON, where even Southern and Central Scotland are affected by the greeny colours. 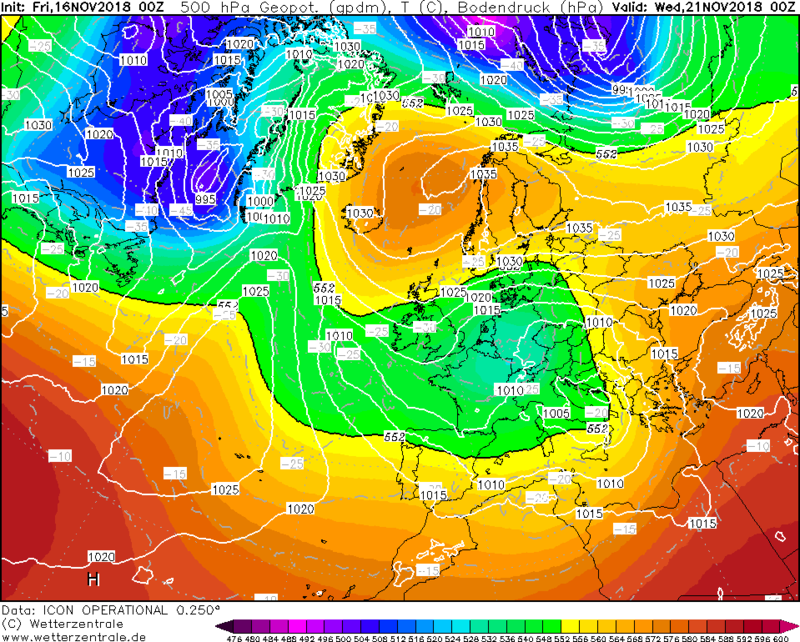 Apart from the GEM, thanks to these lower heights along with 850 hPa temperatures being around -5*C to -8*C in places (especially on that UKMO chart where -8*C’s clip far South-East of England), this would probably provide enough instability for some showers. Some of these could wintry at times, even to some fairly low levels. Possibly some wet falling snow where showers are heavy and where they become more organised. Though they’ll likely be mostly quite light or moderate, with the heaviest ones towards Eastern areas. Would ideally need even lower 500mb heights and 850 hPa temperatures to make the situation even less marginal for snow and to help increase chances of more potent heavier wintry showers. The warmish North Sea temperatures, especially towards Southern areas, may though help in favour of producing some fairly beefy showers. Finally, the exact placements of the Northern UK High and the areas where Low Pressure slides under these, aren’t all quite the same. 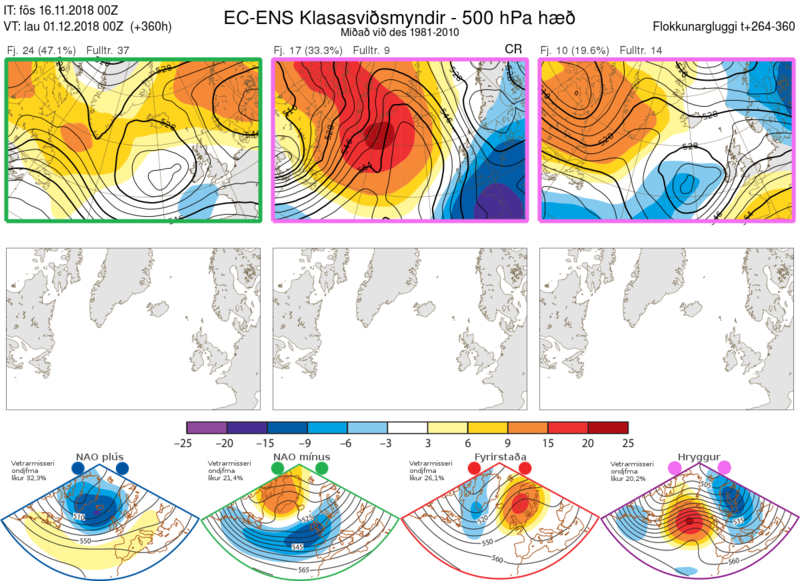 The likes of the ECMWF, for example, has more of a stretched West to East orientated blocking High over Northern UK with the core of Low Pressure generally more concentrated to the South-South-East of the U.K (the model where High Pressure is also more prone to getting knocked away further East, still with some of it getting cut off to our North). This, though, resulting in more of a direct Easterly flow as opposed to the likes of the GFS, ICON and UKMO (and even the GEM). Low Pressure on these other models (accept maybe on the UKMO) is little more further East over mainland Europe with generally more rounded Highs to our North), with the flow steered more from the North-East over the U.K. 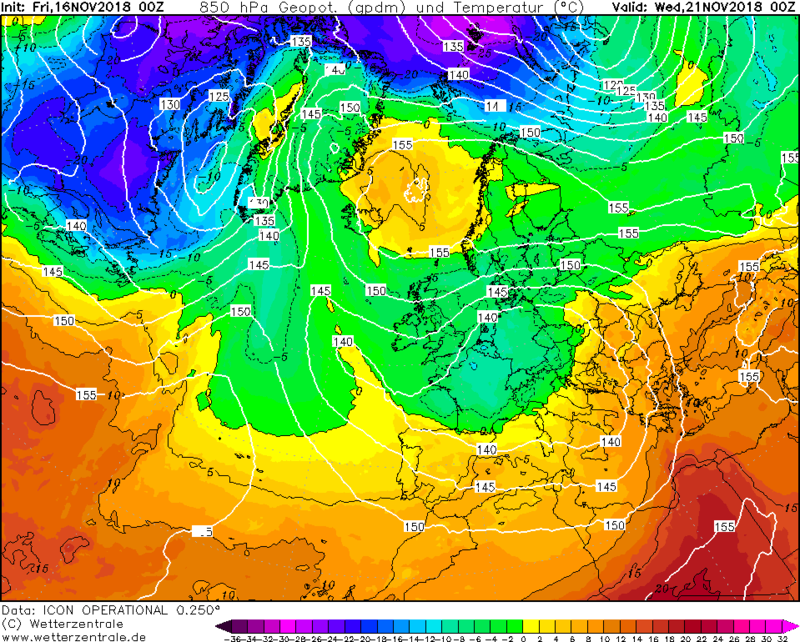 Although it’s easy to get excited by what’s on offer further on in these outlooks with some of us unstandably hoping for a more potent outbreak of cold weather to occur, would say the likely upcoming Easterly may provide some wintry interest. 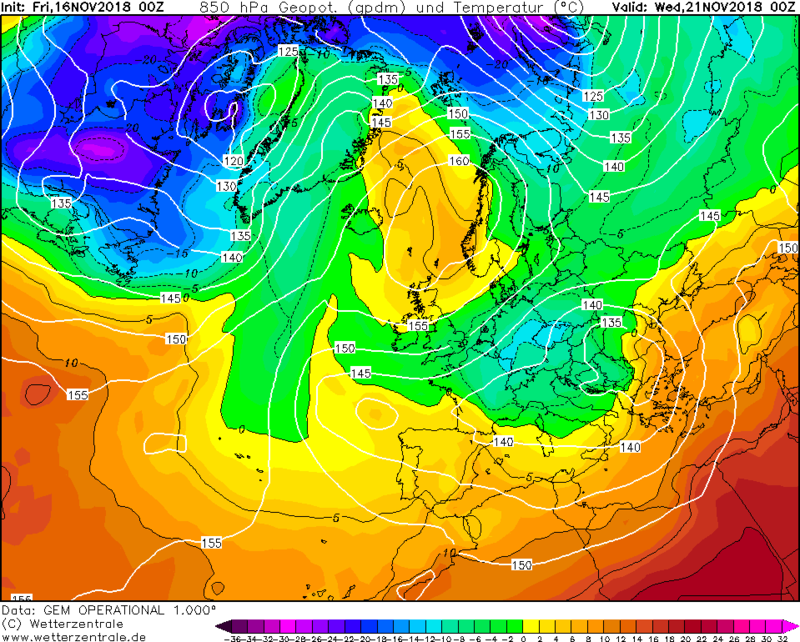 Even if it looks to be rather marginal and the Easterly could just be a bit of a dull, gloomy, chilly affair at times. Plus, with some differences between the models at day 5 (120 hours), as illustrated above, then expect some further tweaks to the upcoming week. 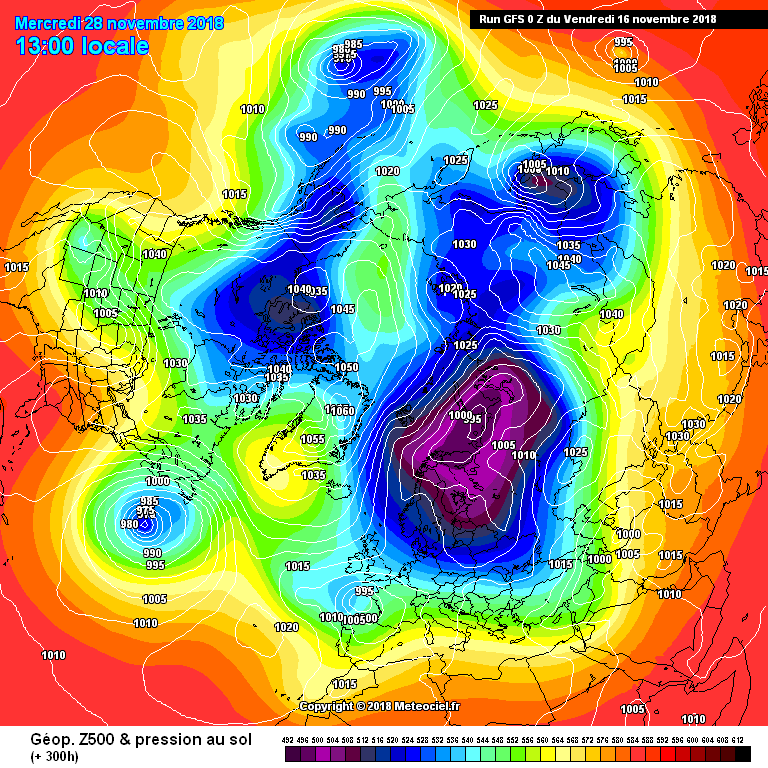 The 00Z GEM seems a little on its own with the Northern UK High being somewhat more in control at 120 hours. As such, probably the run that’s least likely to happen (but you never know!).  The general broad pattern does seem to be their, however. Blocking High Pressure and high heights to our North - Low Pressure and lower heights to our South, with a fairly potent Easterly quite possible over the U.K. Maybe cold and unstable enough for something a little wintry. Which would still be better than nothing. Settling snow however, unlikely. 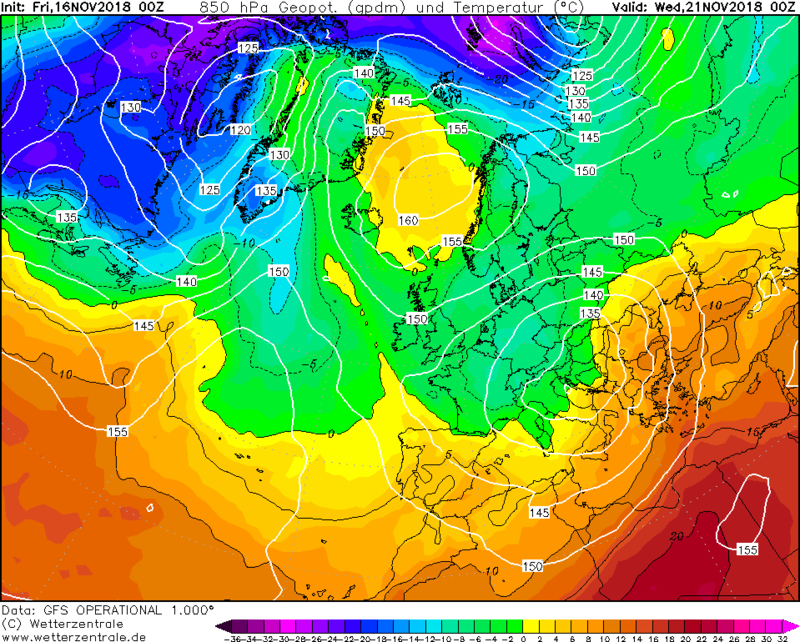 GFS 6z at T150 . And been replaced with a more SSE airflow. Here we go, ramp-up European snowcover, and watch the 850s plummet! It looks like a slow burner to me, heights should re-build Northwards around Greenland and with cold air digging into Europe we'll be better placed to tap into some cold air. 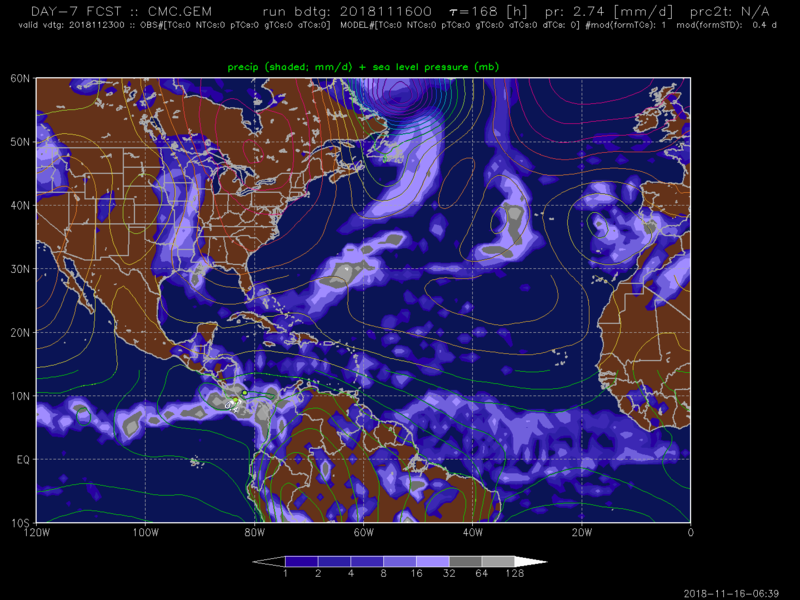 I don't think it's going to be quite as straight forward as some GFS runs have shown. Certainly some support within the EPS for this solution, roughly 50/50 as others have said. 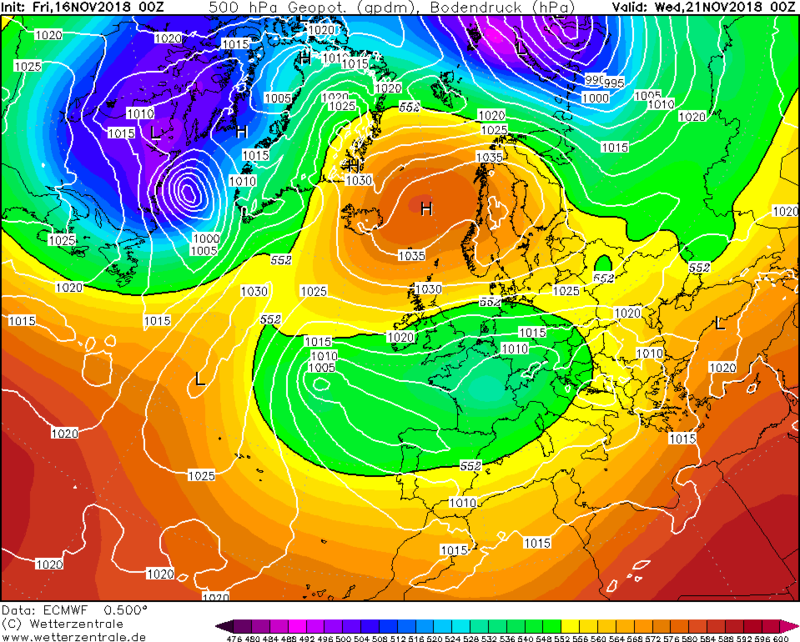 The 6z is looking a lot more saggy on the bottom half of the high, looks much more like the ECM unfortunately. I think the middle ground is looking quite likely here, my worry is if we miss this opportunity how long till the next chance. 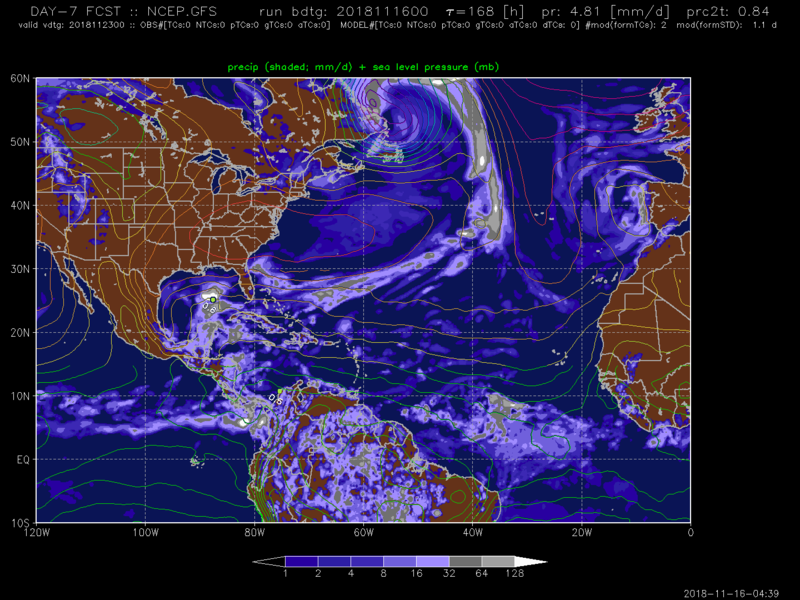 Important to note that there is 0 suggestion within the EPS/GEFS/Det runs that the Atlantic is going to fire up and bulldone its way through, all routes lead to cold - It's just whether it's a fast route straight down the M5 or a slower route taking the country roads. 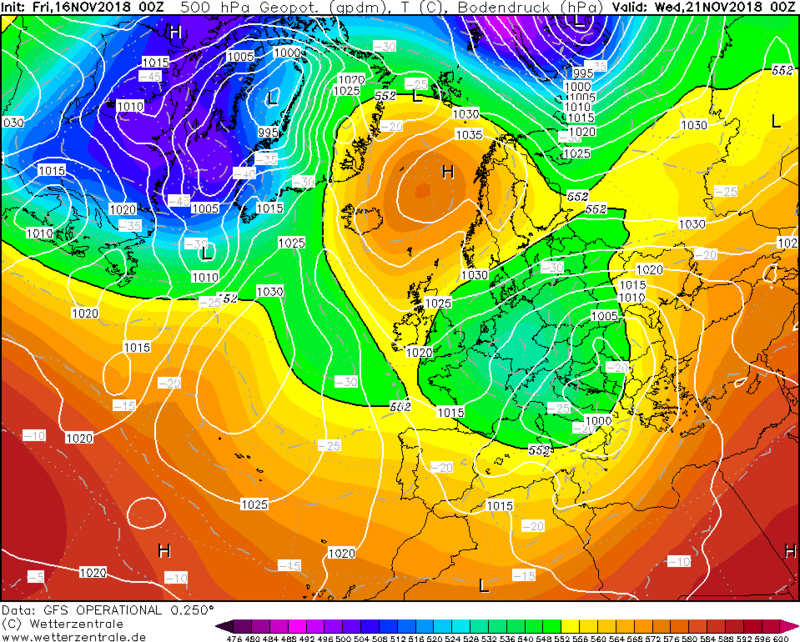 Only my opinion but 6z looks wonderful-PV displaced - plenty of cold dry weather to usher in late Nov early Dec.. 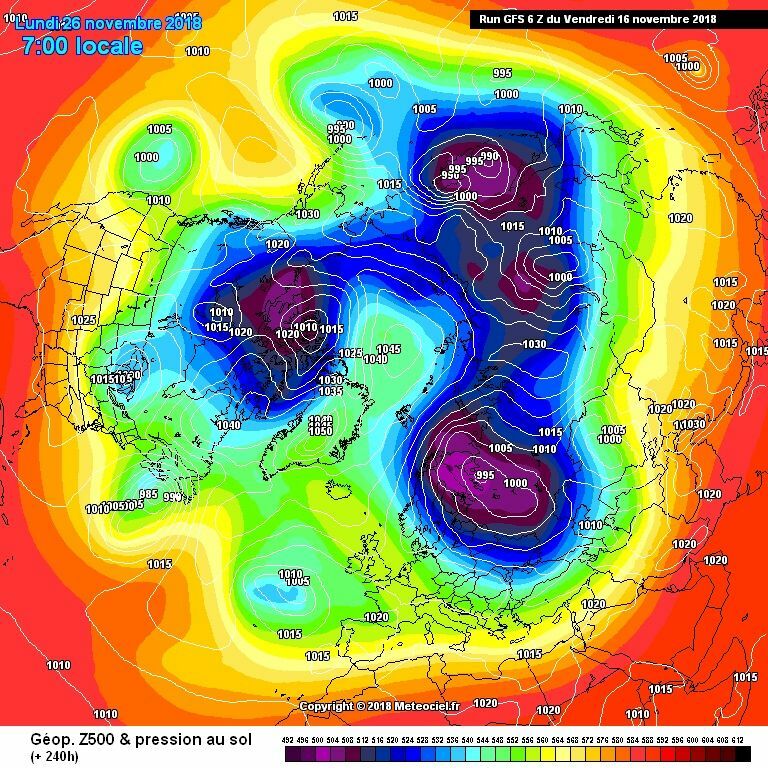 There are multiple paths and I think they all lead to cold, when you have high pressure centered over the sea between Iceland and Norway the outcome is generally cold 9/10 times. 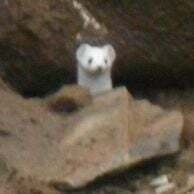 Hello Mate good to see you back for another winter.. 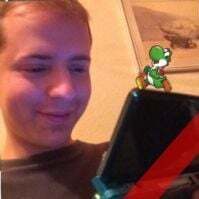 I agree with your post BTW.. Even the late-run potential freezing-fog fest has survived four successive runs? And doesn't the T+384 simply scream POTENTIAL!? 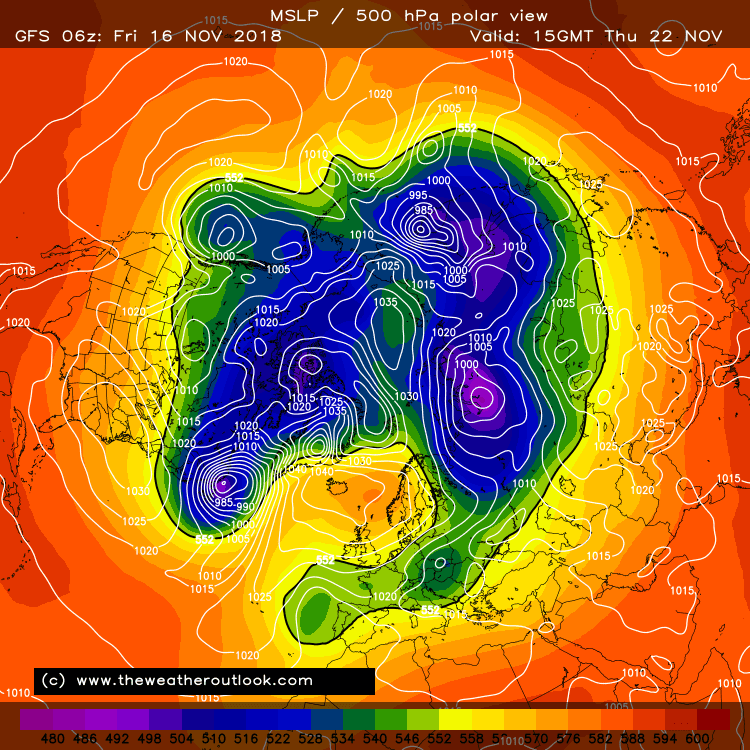 Another stonking run from the GFS06! 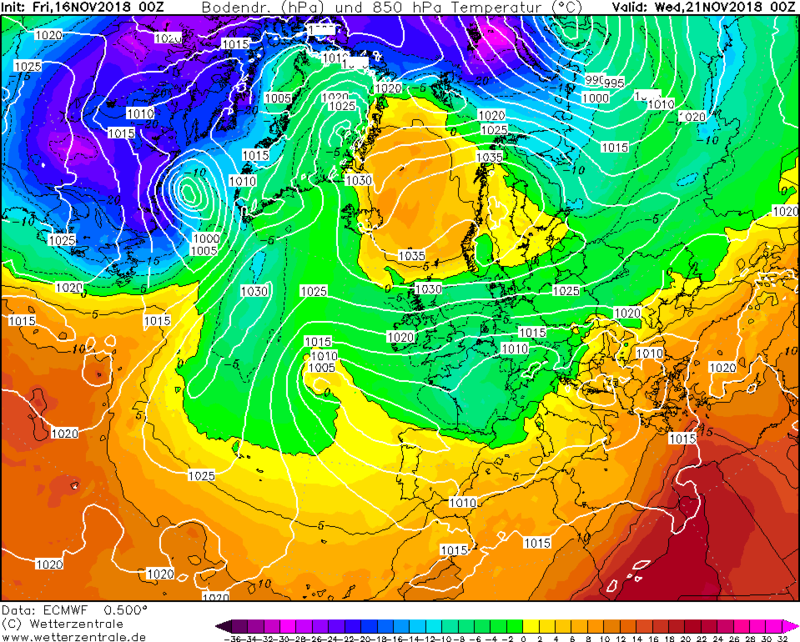 I think in a weeks time we'll have a compromise of ECM and GFS. Either way we're not seeing raging zonality which considering we're normally seeing a strong PV sitting to our north at this time of year is certainly noteworthy. 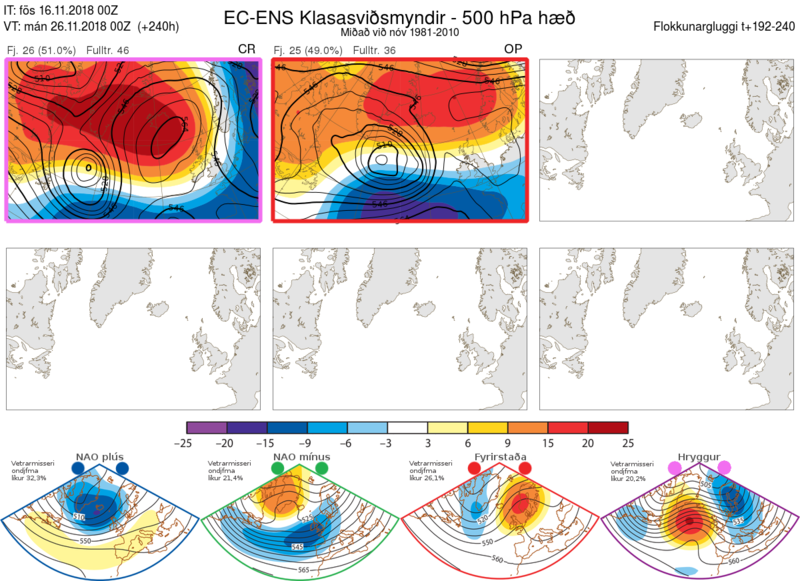 The ECM clusters are out. The second 49% cluster is the Ops run, high pressure more centered around Iceland and a little further North allowing low pressure to get closer to the UK, less cold and perhaps a little more unsettled in the South/West. Basically 50/50 for either scenario so no clear signal for day 10. So where are we after the morning runs. Looking purely at the ops it does seem that all roads lead to some kind of cold outlook. 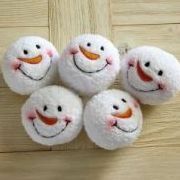 How cold and how snowy remains to be seen. If we can get cross polar ridging as per the latter stages of the 06z then possibly very snowy but there's a long way to go before we get to that possible scenario. However if we can get those outlandish FI charts down towards the 144/168 Mark then that would raise an eyebrow or two.